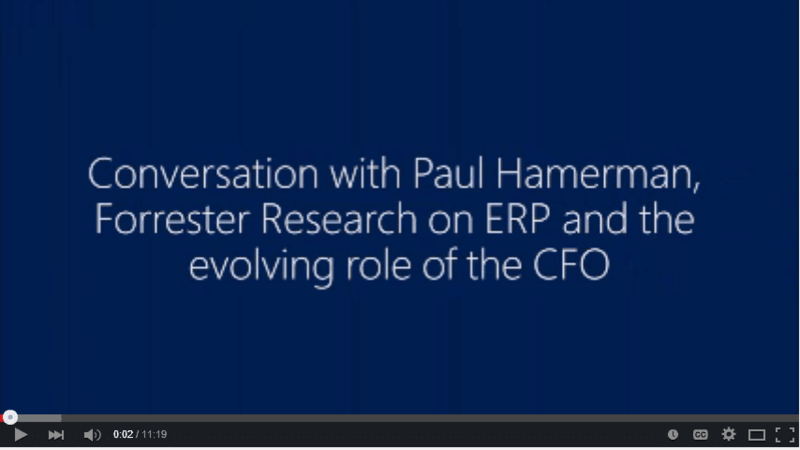 In this video, Forrester Research Vice President Principal Analyst, Paul Hamerman, discusses his views on the changing ERP landscape and the evolving role of the CFO. Hamerman also discusses how ERP solutions can support growing businesses and how business leaders can grow companies by focusing customer requirements. Shifting role of CFOs requires them to help the business grow and innovate around the 4 C’s. For example, focusing on funding product innovation, funding acquisition, and investing in improving the customers to provide long term value and revenue growth. Investing in a cloud ERP system can help eliminate these challenges and increase the speed of doing business. Cloud applications are more flexible and agile, allowing the company to improve cost, controls, compliance, and the customer experience.